Hey Dudes, Bros and Chicas! We have created a totally epic new website designed just for you! DiscoverTorrance.com is a full barrel of awesome resources for all of your travel planning needs – it has everything to see and do, day and night. 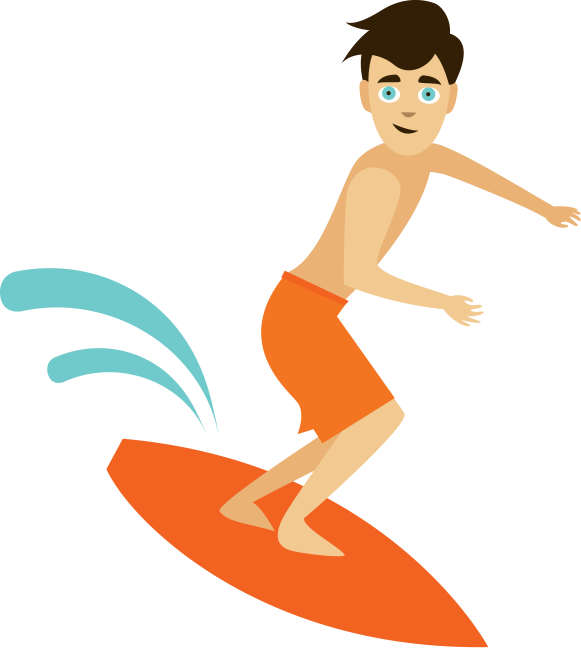 While you and your mouse are having a blast cruisin’ the site, keep an eye out for me, Surfer Dude, hangin’ 10 in my orange shorts. When you see me, click on me and you can enter to win some green, a.k.a. 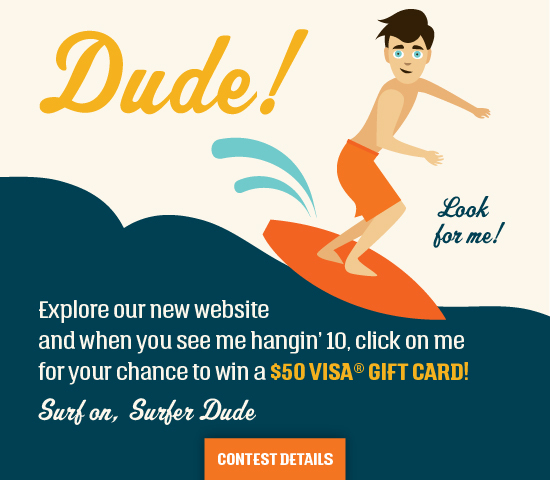 a $50 VISA gift card! When it comes to sharing the local love with travelers, we are happy to! From bountiful bakeries and slurp-worthy ramen bowls to handcrafted brews and dazzling art galleries, Torrance has it all to fill up, drink up and get inspired. Our uncrowded, sun-kissed local beach will bring out the ocean-lover in anyone and the miles of shopping offers retail therapy for every fashionista. Whatever floats your surfboard, Torrance is your choice destination for authentic Southern California adventure, located right in the middle of the South Bay and all of the action. Don’t miss your chance to catch the wave, the Torrance wave. We’re all in, are you? Click here for official contest rules & regulations.